At Midwest Windows, we carry competitively priced options for double hung windows from quality brands. Our purchasing power allows us to pass the savings down to our Chicagoland customers, giving them quality high end products for less. Double hung windows are very popular in the Chicagoland area. It’s easy to maintain, offers a classic styles, and it’s built to keep the weather out. 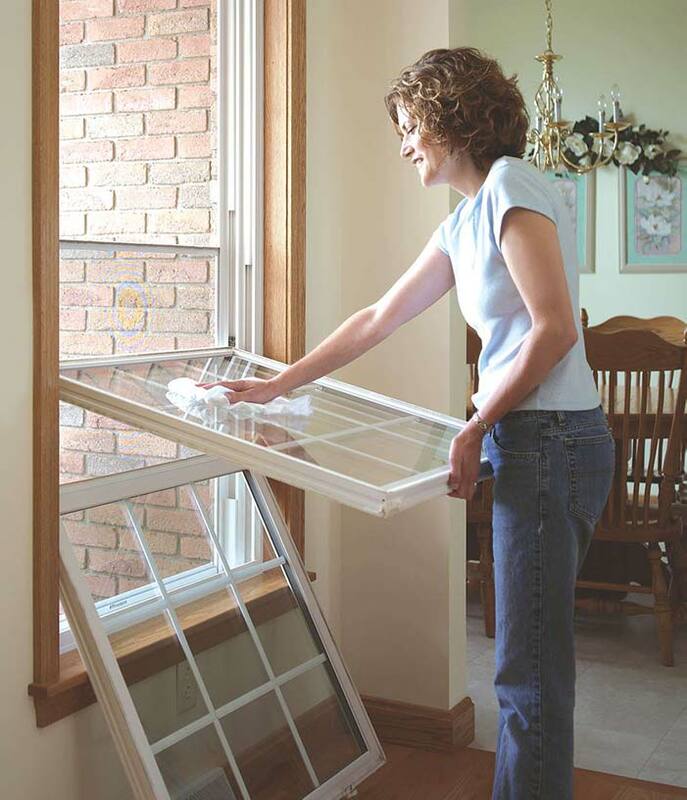 We only carry the best brands for double hung windows, so that you can keep them for many years. Why Double Hung Windows in the Chicagoland Area? A double hung window is a sliding window where both top and bottom window sashes slide open vertically. The only difference between single hung and double hung is that in a single hung only the bottom window sash opens while the top sash is fixed in place. 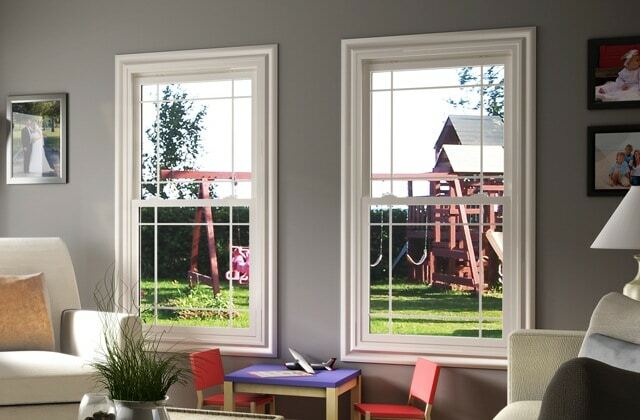 In a double hung, both window sashes slide to open, and also tilt for easy maintenance. One of the best benefits when opening the double hung window is in the summer, whereas bigger opening will bring more fresh air in from the outside. Opening the top part of the window wouldn’t make sense in the winter because warm air rises, and sits higher inside the room. Opening the top part would release the warm air, and we wouldn’t want to do that, since we need all the warm air possible for a cold Chicago winter.